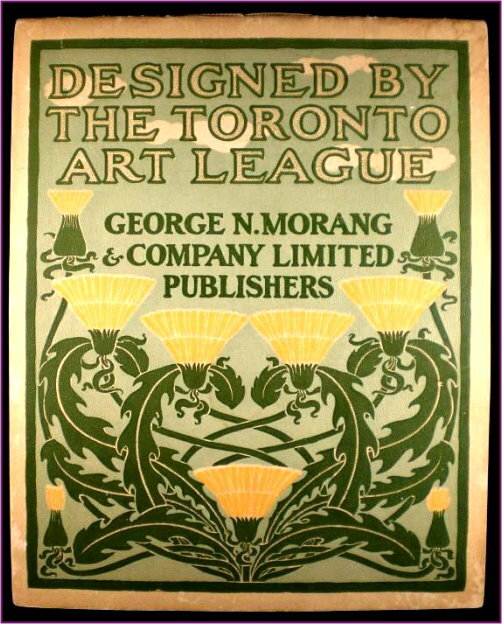 Toronto Art League Calendar for the year 1901 - featuring twenty-four lithographs by prominent Canadian Artists: R. Weir Crouch, R. Holmes, D. F. Thomson, F. H. Brigden, C. W. Jefferys, Charles MacDonald Manley, T. Garland Greene, W. W. Alexander, A. H. Howard, and W. D. Blatchly. 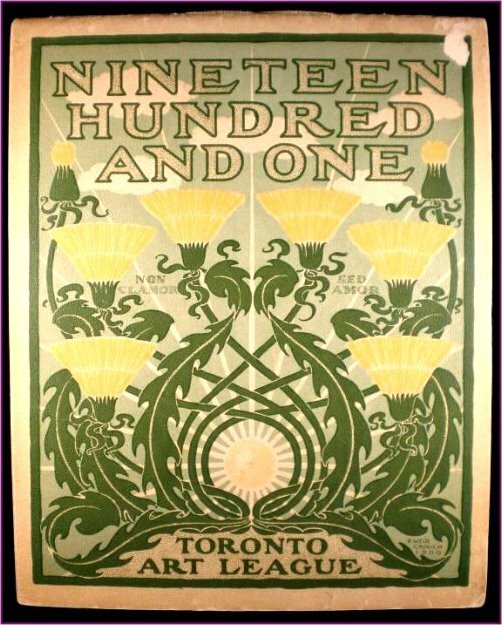 These lithographs all illustrate some phases of Canadian Village Life. 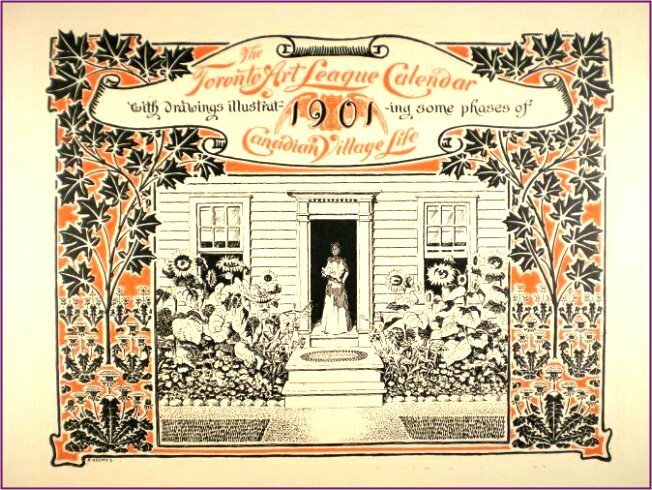 This calendar was published by George N. Morang & Co. 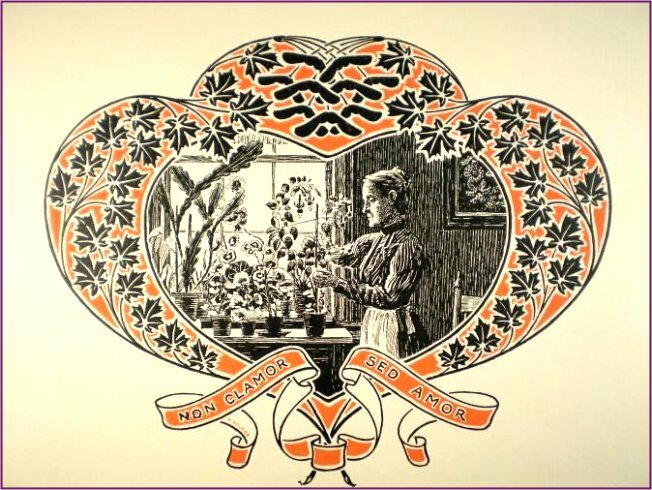 It is bound with string and the elaborate lithographic cover design is by R. Weir Crouch. Click here to see the entire calenar in its entirety one page at a time. Calendar Size - w: 8.25 in. by h: 10.25 in.